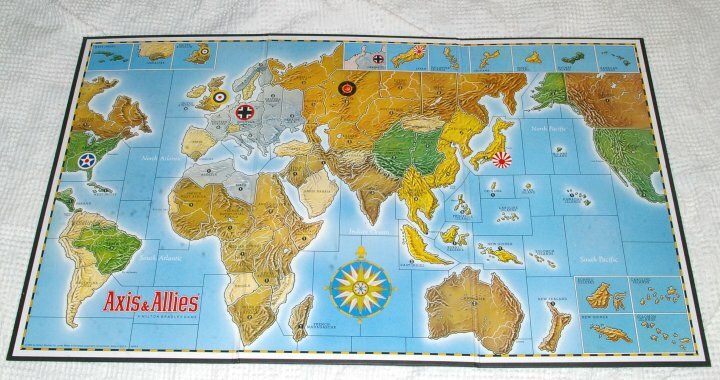 Excellent playable example of the classic board game "Axis and Allies" by Milton Bradley. 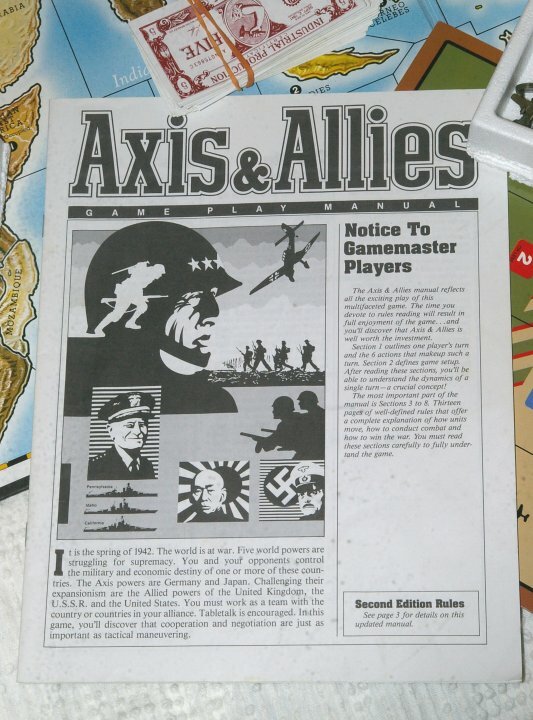 This is the 1986 second edition. 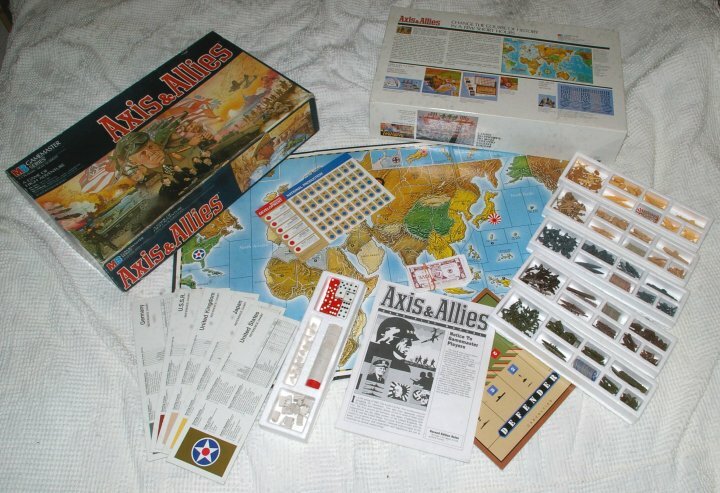 A&A is a classic strategy board game depicting World War II beginning in Spring 1942. 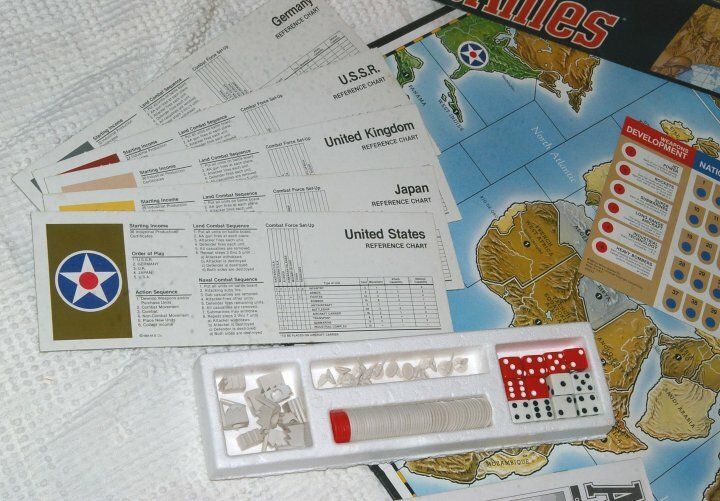 It is designed for 2-5 players. 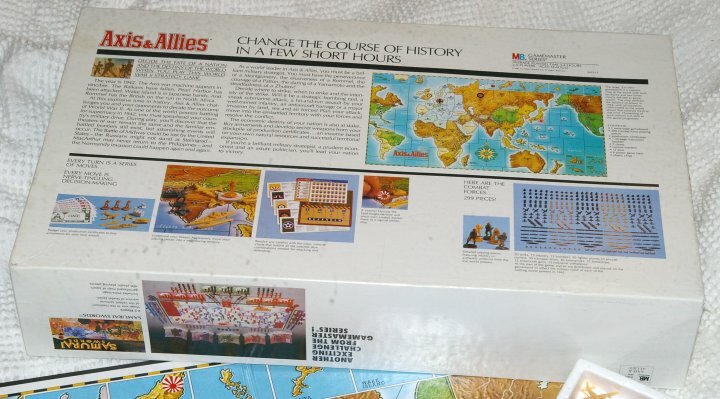 While the outer box is mildly warped, it is still solid and the colors are crisp. 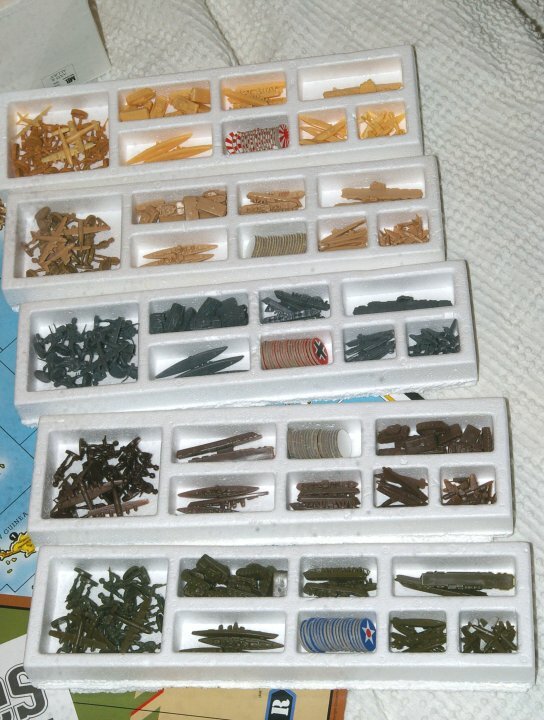 We haven't counted everything, but it all looks like it's here. There are a couple of bombers with broken wings (or bad moldings), but everything looks pretty organized and well cared for. 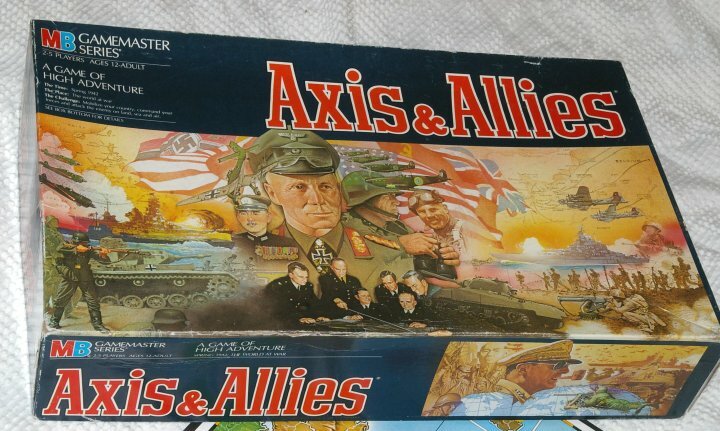 If you're looking for a copy of Axis and Allies to play, this is the one for you.